What a merino wool jumper is to winter, a flowing spaghetti-strap top is to summer. And when the weather signals that it’s time to embrace an unapologetically sunshine-appropriate number, you know that the magical season has arrived. But a summer top needn’t equal skimpy; if you haven’t owned a crop top since primary school and aren’t sure what’s appropriate, there are lots of chic alternatives, such as an effortless linen blouse or seersucker wrap top. 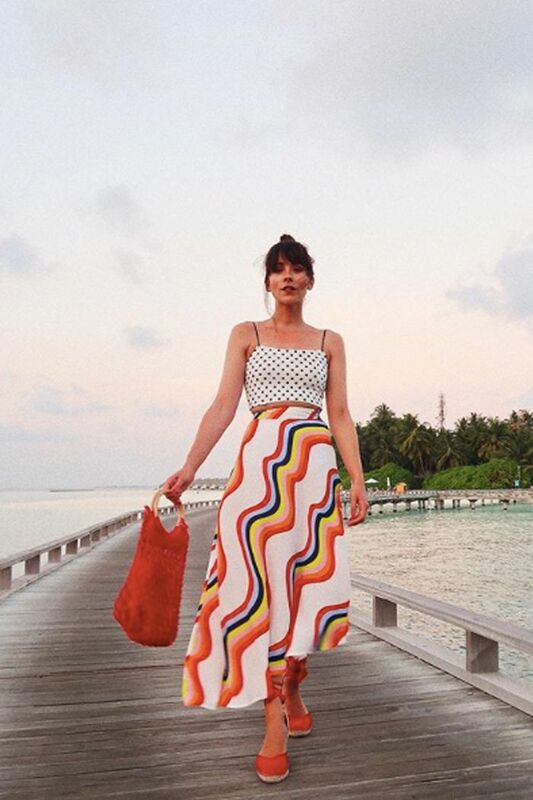 That said, don’t think of a crop top as suitable only for the beach: It’s the perfect partner to a high-waisted midi skirt and pretty edgy when styled over a crisp cotton shirt. Crop tops and high waists are the best of wardrobe friends, whether that’s a statement midi skirt or belly-grazing shorts. Everyone needs a lightweight linen blouse in their summer top drawer. A must for protecting yourself from the sun’s rays while at the beach, it also looks super elegant thrown over a silky camisole. Camisoles are so easy to wear; simply slip one on and go. Experiment with tucking one in rather than leaving it flowing, and create a pattern clash if you’re feeling bold. The most ladylike of trends, the wrap blouse is pretty personified (and all you need to update a pair of jeans and sandals). The off-the-shoulder trend isn’t going anywhere, so get on board and show off your collarbone with a statement style. Next up, how to make money from the clothes you never wear.